Energy Saving Black Out Rod Sets. Wraparound curtains block light, reduce noise and save energy. No gap between the window drapes and the wall. Guard your privacy. Come in three sizes: 32" - 52", 52" - 96" and 96" - 144" Projection from the wall: 4" Five finishes available: brushed steel, antique brass, glossy white, black and bronze. Mounting hardware included. 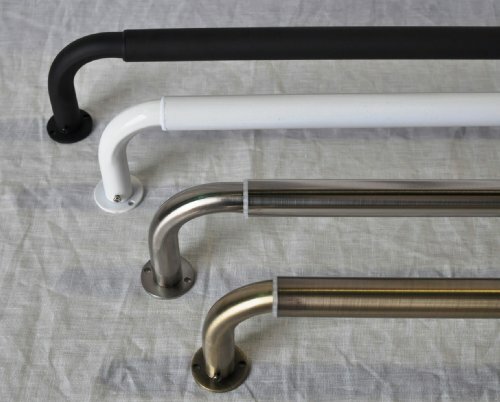 Five finishes available: brushed steel, antique brass, glossy white, black and bronze. Projection from the wall: 4 to 5 ; Ends that attach to the wall have a diameter of 1 3/4 inches. Metal brackets adjust from 3.5-4 in. The sleek Rod Desyne Rosen Curtain Rod works beautifully in any home decor. 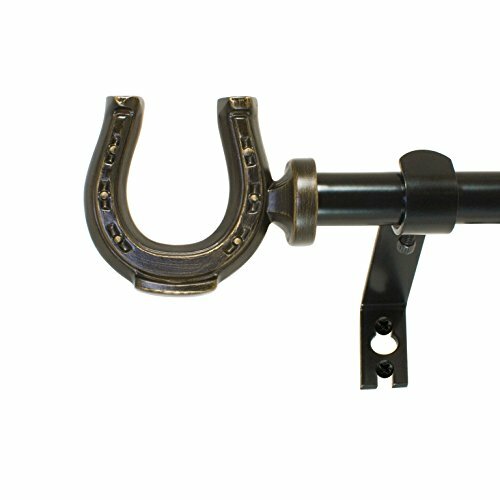 This sturdy steel curtain rod comes in a variety of finish and size options. 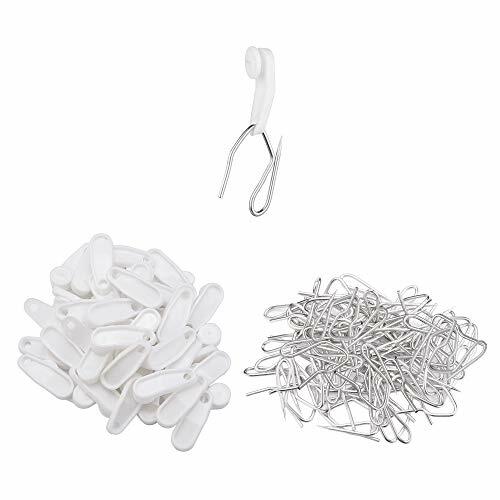 Product Dimensions: 28 - 48 in. 48 - 84 in. 66 - 120 in. 120 - 170 in. Choice of available sizes. 1-diam.-in. rod. 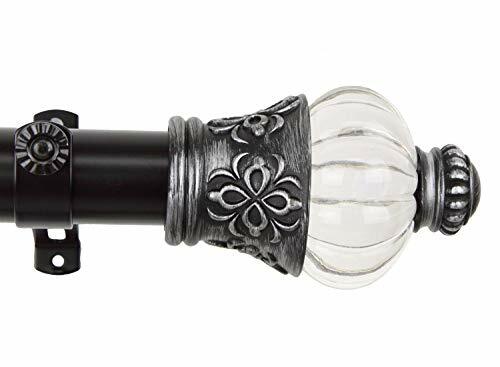 Steel rod material with resin finials. Choose from available finishes. Mounting hardware included. Wipe clean with damp cloth. Windows, closets, shared bedrooms, office space, restaurants, changing rooms, sliding doors, basements, classrooms, etc. 1.Straighten the curved track first, you can reverse the track around the binding, it will be relatively straight after open it, then make some local adjustments. 2. Determine the point to drill holes in the wall, drill the hole with bit 6, you can drill two holes, then pull a line, drill along the line, two points to determine a straight line. 3. Fix the ceiling mounts in the holes with screws and screw sleeves. 4. Observe the track, the flat side face up, used to clamp support; the convex side face down, used to hang pulleys. Then install the track, pulleys and end stoppers. If you have any problem of our product, you can click "seller contact" button in your Amazon account to email us. we would be delighted to help you and we will reply as soon as we can. We are committed to providing each customer with the highest standard of customer service. If you need other item please search our brand "Aimyoo"
Material: Outer nano synthetic PVC, built-in soft steel. 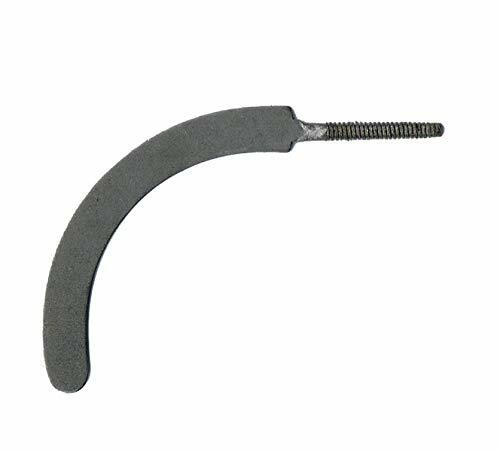 Easy to be bent, cut off, mounted. 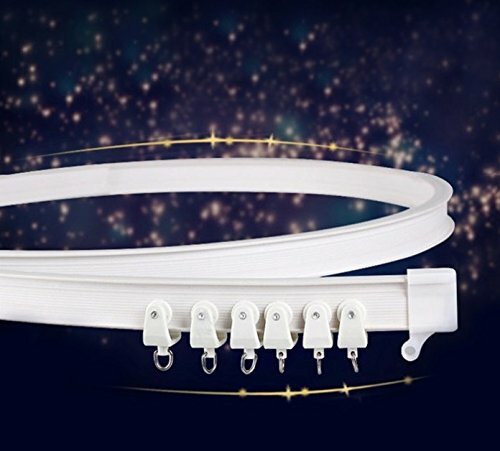 Flexible track that can be a straight line or 90 angle, even a complete circle. 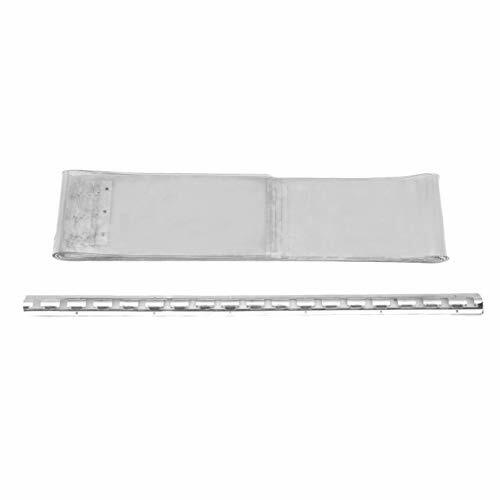 Package includes: 1 x 9.8 feet curtain track, accessories included. Reflect your style with the Decopolitan Horseshoe adjustable curtain rod set. The figural design is cast in resin and the rich bronze finish highlights every detail. 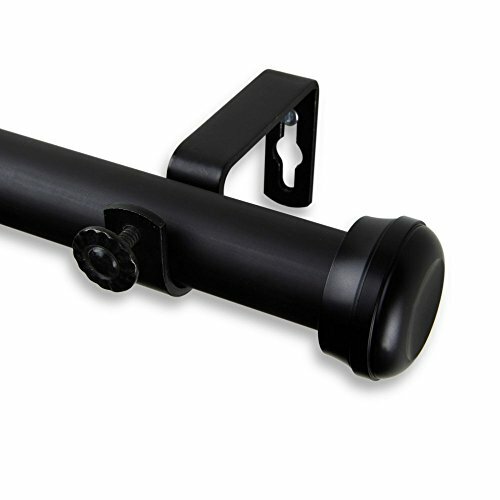 This 5/8 inch diameter durable steel rod includes all brackets and hardware needed for installation. Can be applied on window curtain, door curtain, etc. 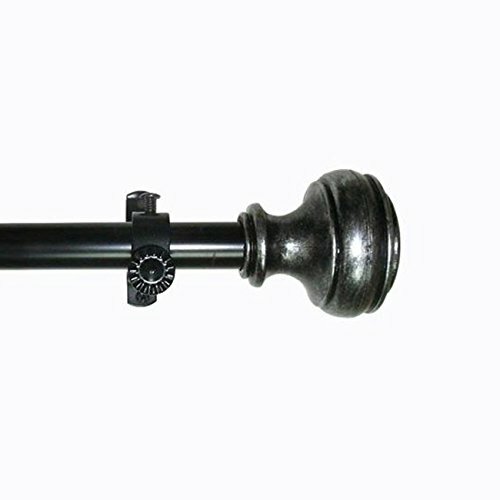 Introducing luxurious Royal finial on our non-telescoping, continuous length 1.5 inch custom cut curtain rod. This rod is seamless, solid steel pole and will prevent jamming while moving the curtain. This elegant drapery rod will add alluring style and refined touch to your home decoration. Over 8 ft rod will come in multiple pieces and are attached via splice. Wall Clearance: 4-1/2 inch. Color: Black. Material: Up to 50 percent recycled pvc clear flexible plastic. Easy to install: Easy to install and save energy. Work temperature: This strip curtain is meant for coolers or freezers down to -10 degrees. 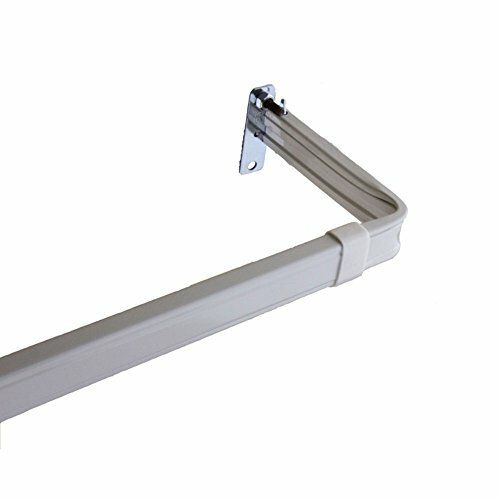 The mounting bracket is very simple to install and the individual 6" strips push easily onto the bracket with NO tools required. Advantage: Ribs prevent fingers from sticking together and scratches on flat surfaces when loads pass through. The transparent effect is good, according to the simple. Warm, waterproof, waterproof, sound insulation and environmental protection. 2. Due to different personal measuring techniques, there might be 1-4cm error of the physical. Thank you! Brand: C. S. Osborne & Co. | Manufacturer: C. S. Osborne & Co. 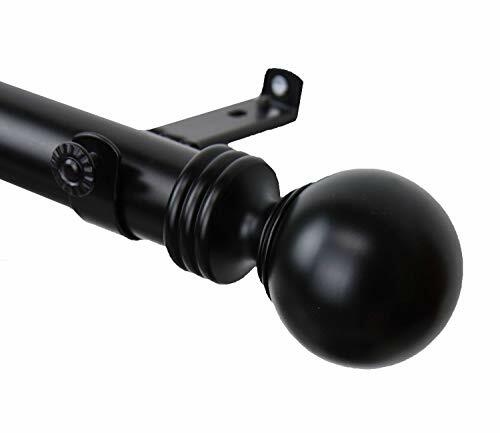 Introducing classic Sphere finial on our non-telescoping, continuous length 1.5 inch custom cut curtain rod. 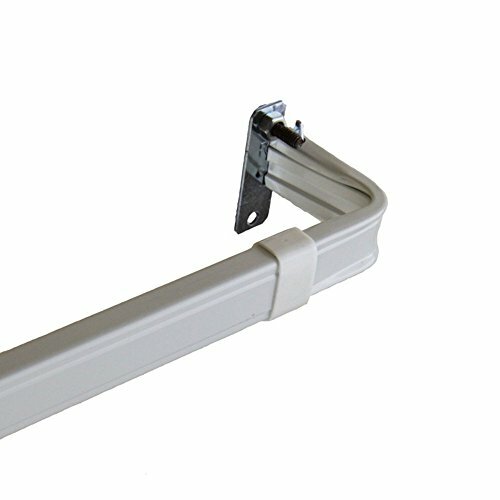 This rod is seamless, solid steel pole and will prevent jamming while moving the curtain. This elegant drapery rod will add alluring style and refined touch to your home decoration. Over 8 ft rod will come in multiple pieces and are attached via splice.